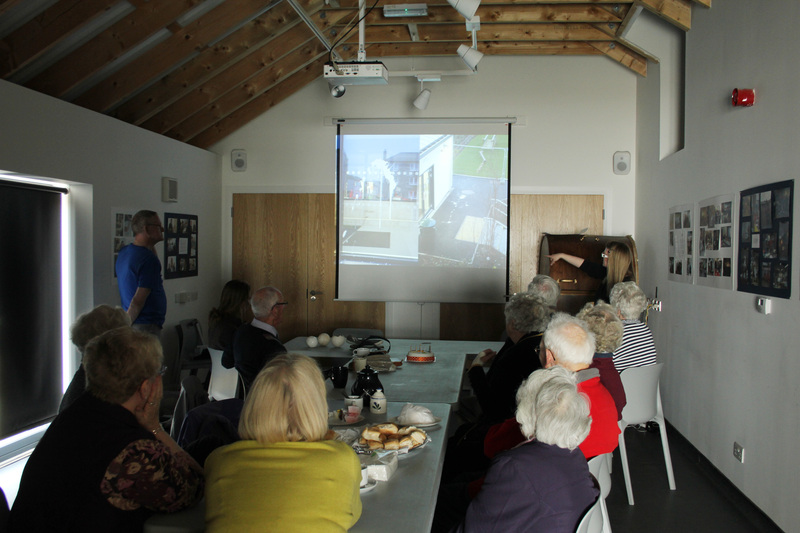 Margaret Stewart, Communities Art Officer for Aberdeen City council gave a visit to SSW yesterday to deliver a short presentation on the goings-on at the Seaton Group, a community-orientated group who have been creating artistic public interventions in the Seaton area of Aberdeen. 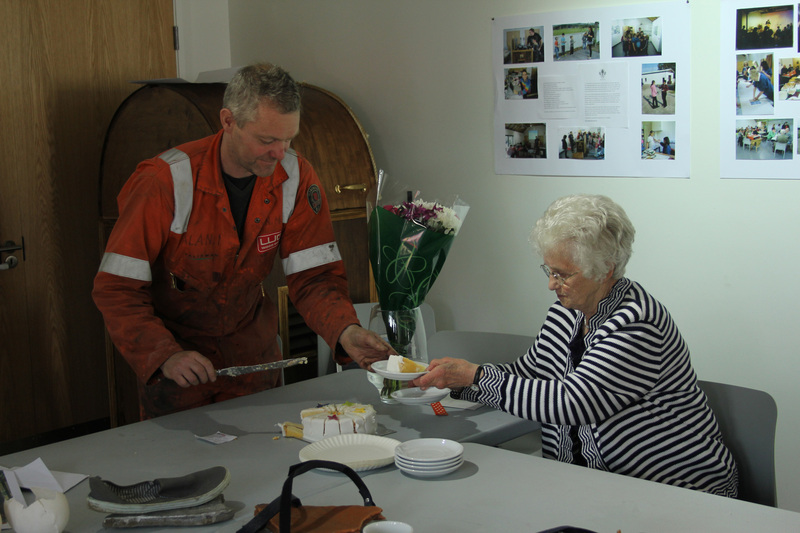 The talk also coincided with the birthday of local resident and SSW advocate Mrs Petrie who celebrated her 82nd birthday at the workshop yesterday! SSW staff surprised Mrs Petrie with a cake and flowers after the talk.